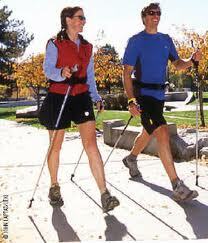 Join Elise Cunningham, certified Nordic pole walking instructor for an incredible workout that has tremendous benefits! By the end of your 7 week session you will able to successfully complete a 10km walk! · Improves posture, balance, stability & more! Participants who have poles the will only be charged the instruction fee.